The K-DEER leggings and tank tops are perfect to practice yoga in style during your pregnancy. Providing perfect support. Check the photos at the bottom of the page to check the fitting during pregnancy. For before, during and after your pregnancy! What's better than still practicing yoga during your pregnancy? K-DEER is an amazing brand that you can keep wearing during pregnancy. Because of the super flexible high-rise waistband you could choose between wearing the waistband as high support or wearing it underneath your belly. And because the leggings are so long, you could still wear them over your heels.. 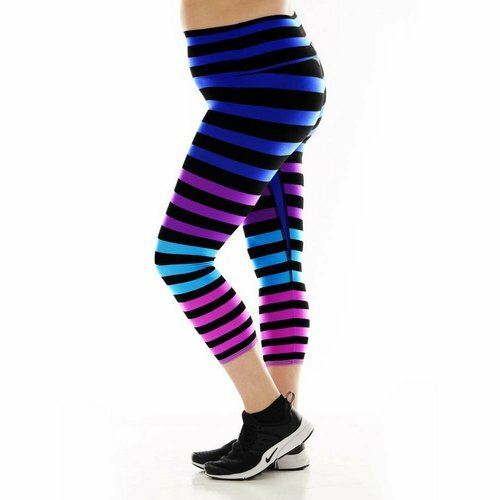 The fabric is of an amazing high quality that, whereby it retains the fit and you could keep wearing these leggings from before, during to after your pregnancy. Als, you could just stay with your normal size. 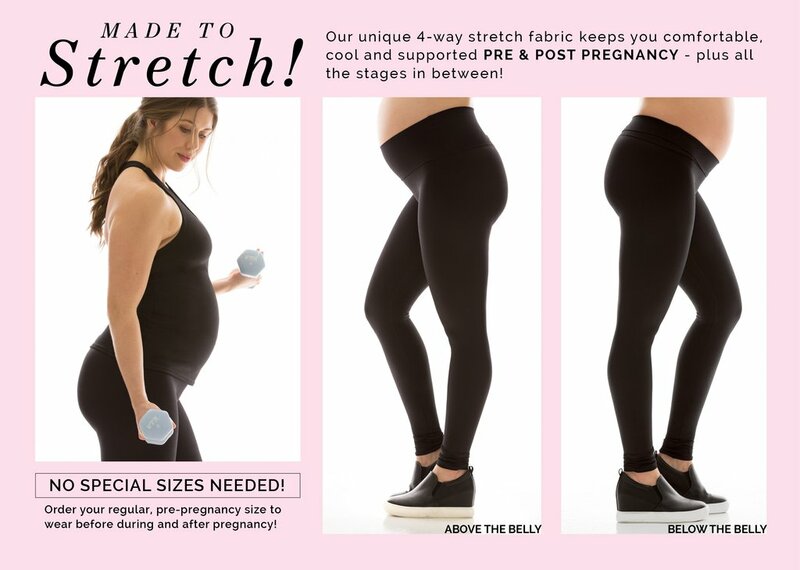 The 4-way stretch fabric keeps you comfortable & cool and supports your belly. 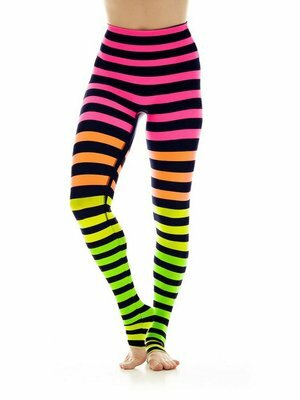 The K-DEER leggings are great for wearing in combination with the K-DEER tank top, which are long enough to cover your belly. Do you choose for the pink Laura Stripe, the blue Alexis Stripe or for a totally different color? 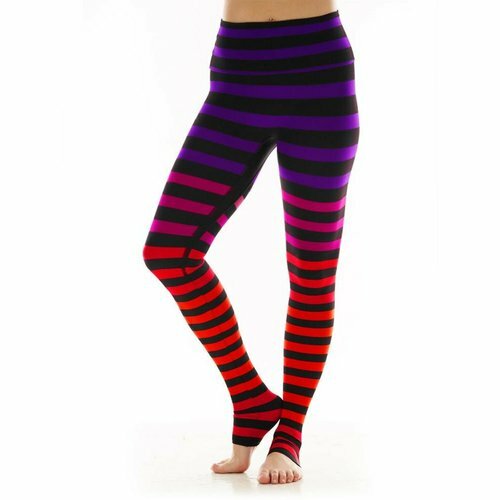 The K-DEER Stripe leggings are available in many colorful combinations, including the pink Laura Stripe and the Blue Alexis Stripe. Whether you like to reveal the gender of your baby with your leggings or not, it's all possible. Choose your favorite yoga outfit for before, during and after your pregnancy here.